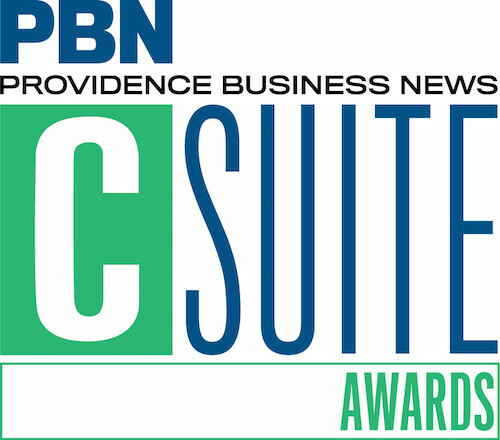 The Providence Business News has named our own, Chris Shoemaker, CTO of the Year! The inaugural C-Suite Awards highlights leaders who have contributed to the successful performance and development of a company through pioneering expertise in their field. There are many reasons Chris deserves to be recognized this year as an outstanding leader and CTO at MojoTech. Among those reasons, we believe it is his characteristic discipline and patience, paired with his appetite for hard work, that is responsible for MojoTech’s accelerated growth. Since joining MojoTech eight years ago, Chris has helped expand the engineering team from five to over twenty-five engineers. His discipline came into play when he instituted the engineering processes we follow today. These processes have paved the way for our teams to reach their full potential. Chris single-handedly designed the engineering methodology at MojoTech — which is rivaled only by some of the best software engineering companies in the world. Despite being an extremely quick thinker, he displays the patience required to work with less experienced engineers in a mentorship and training capacity. This has allowed MojoTech to hire and train a large and growing engineering team over the years. This is no small feat in an economy where ready-made, highly-skilled engineers are scarce. As a solution, Chris has taken it upon himself to help build the next generation of MojoTech engineers. His patience also helps to buffer the impatience of his business partner and CEO (ahem...). Who, without Chris, would be shooting from the hip a bit too often. Chris is able to elevate any engineer's abilities by helping them truly understand the “hows" and “whys” of software engineering rather than simply providing them with superficial knowledge of tools and quick fixes. He has created an environment where everyone is expected to, and capable of, doing their best work. In evolving technology fields like ours, it’s important that companies are able to adapt to change. Even more importantly they must know which changes are worth adapting to. Chris is adept at picking the winners when it comes to emerging technologies. He leads our team towards adapting the best new languages and frameworks while avoiding the distraction of chasing new fads that won’t last. Thanks in large part to Chris, MojoTech has had many successful years, and plans to have many more in the future. And kudos to every Mojo for helping us make MojoTech a company we're proud of.